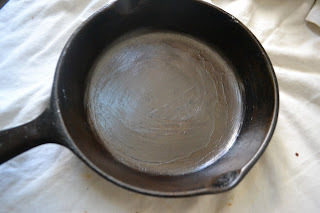 In my previous post, I showed you how to season or "cure" your cast iron pan to make it ready for use. Now I"ll show you how to clean your cast iron pan. 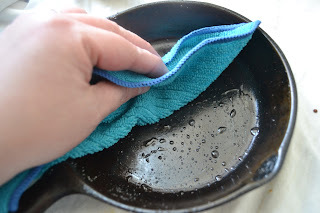 There is basically one huge rule for cleaning cast iron: NEVER USE SOAP!.Nope, nada, never! My husband and I have friends where he loves his cast iron pans but has given up on them because his wife can not help herself, she MUST use soap on them, and by so doing she "unseason's" the pans every time! Soap cuts grease, but in the case of cast iron grease is your friend. It fills the pores and scratches and baked into the pan creates a beautiful non stick surface. If seasoned well, it will hold up better than any new fancy non stick coated pan! BUT lets get on to how to clean it. Since we know soap is out, how the darned heck are you supposed to clean it? The best way is with no water at all (or at least very little)! The number one best way to clean your cast iron pan is with salt! 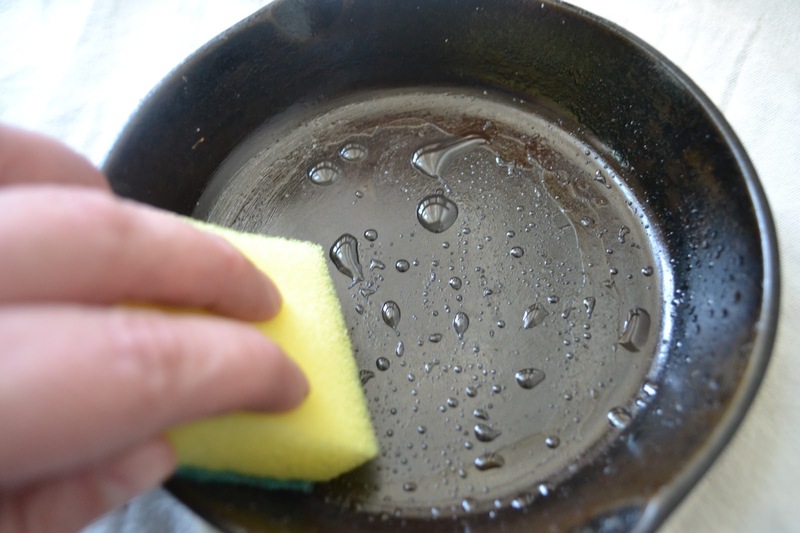 1) If your pan has sauce or wet food in it, use either a cloth, sponge or paper towel, wipe out as much as you can. 2) Pour some salt into your cooled pan. 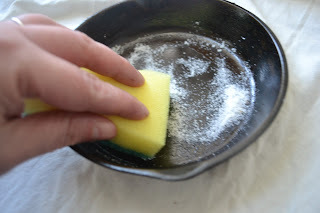 Using a scrubby , scrub the pan with the salt to loosen and remove the food. If you can get it all loose and wiped out with no water, this is good. Skip to last step. 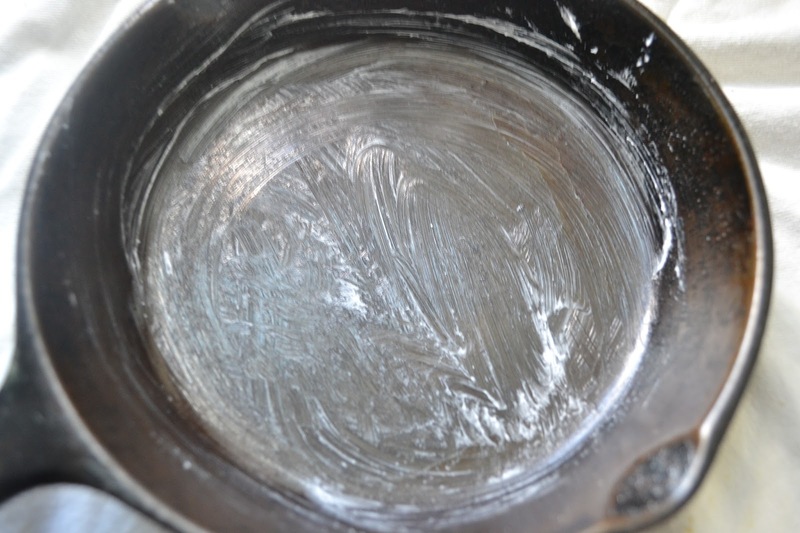 4) : Dry the pan thoroughly.